Start your no win no fee injury claim now. Simply fill out the form provided. One of our personal injury professionals will call you back. 24 Hour ServiceToll Free: 866-739-7702 The Toronto car accident lawyers and legal professionals at the Kahler Personal Injury Law Firm possess more than 50 years of personal injury experience. We have helped injury victims recover more than 100 million dollars in personal injury compensation.We require no up front retainer. You pay no fees until your personal injury case is settled and we have recovered your personal injury compensation. 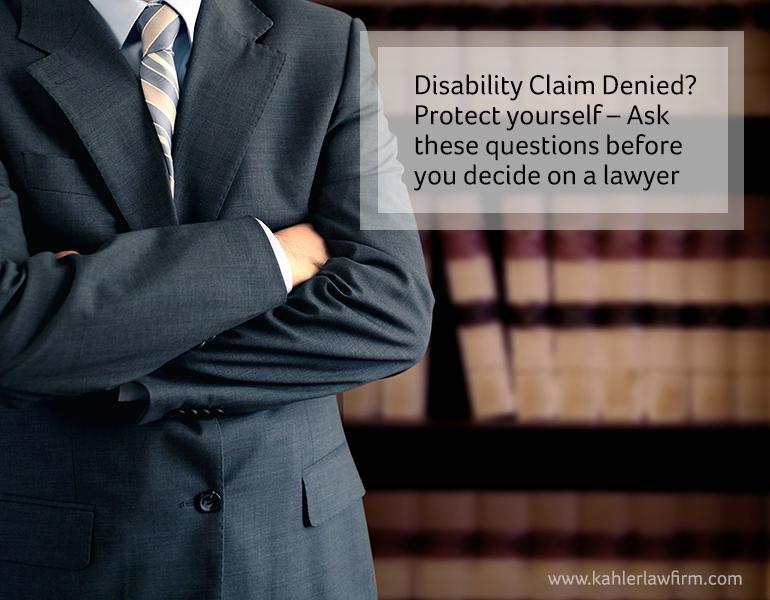 Information submitted will be kept private, used only by The Kahler Personal Injury Law Firm for the purpose of dealing with your claim enquiry. If you or a loved one has been involved in a car accident, you may be entitled to financial compensation. We offer free case assessments and a 'No Win No Fee" guarantee. 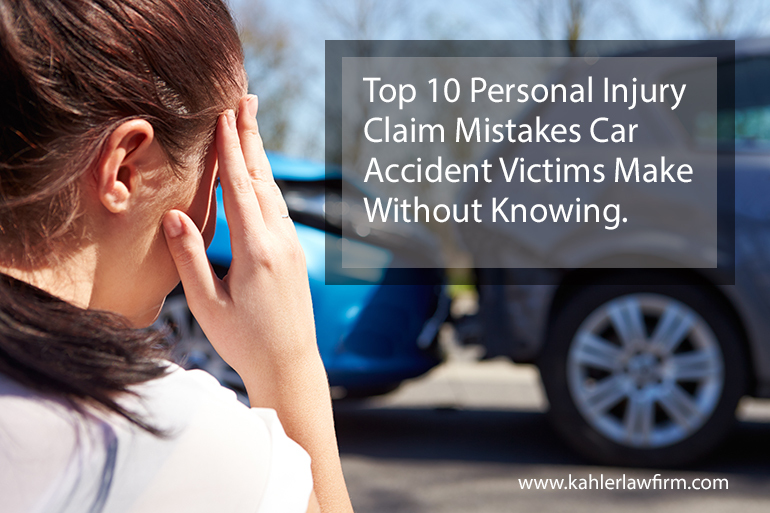 The Kahler Personal Injury Law Firm has extensive knowledge and experience in the area of car accident litigation. Our lawyers have a proven record of success are able to respond quickly, leveraging the law to rebuild the lives of our clients and recover the largest settlement possible. How Long Will My Car Accident Injury Claim Take? Who Can Make A Car Accident Injury Claim? How does “No Win No fee” Work? What Is My Car Accident Claim Worth? Car Accident Benefits, Vs. Car Accident Lawsuit. Serious accidents can cause catastrophic injuries that leave victims unable to provide for themselves and their families. When this happens, it's imperative to have a lawyer that is experienced with complex litigation, one who is organized, knowledgeable and is willing to take your case to trial from the very start. Its important to achieve the highest settlement award possible. Your families future depends on it. If you have sustained injury due to a slip and fall accident that was caused because of the careless or negligent actions of another person or entity you are eligible to be compensated for damages. Kahler Personal Injury lawyers are familiar with the far-reaching consequences of a serious brain injury. We have the financial resources to support families experiencing loss of income until the case has been settled. When a brain injury translates to loss of future earning capacity, we fight to ensure appropriate financial compensation is provided for ongoing rehabilitation, and life style. We understand the emotional support needed for family members dealing with the effects of a loved one’s brain injury. A person may be eligible to make a claim for long term disability if they have an illness or injury that keeps them from work for an extended period of time. Why Was My Disability Claim Denied? We have over 60 years combined experience dealing with a wide variety of accident injury cases. Serious personal injury can change a persons life in an instant, resulting in extensive medical expenses, rehabilitation costs and a loss of wages. The Kahler Personal Injury Law Firm helps victims and their families recover funds to access specialized treatment, equipment, and services they need to maximize their recovery and quality of life. Auto Insurance legislation – Have the scales of justice been weighted against car accident injury victims? Statutory Accident Benefit Schedule (SABs) that came into effect September1, 2010 amending the catastrophic impairment definition and reducing catastrophic and non-catastrophic benefit limits along with non-earner benefits. Coverage limits for medications were at $50,000 and rehabilitation and attendant care was at $36,000. These benefits have now been combined and reduced from $86,000 for both to $65,000 for both. Benefits for those who are not employed at the time of the injury have been maxed out at 2 years. Before the June 1st changes these non-earner benefits were payable for life. Rehabilitation periods for non-catastrophic injures cut in half from 10 years of coverage to a meager 5 years. The License Appeal Tribunal that replaced the FSCO has now eliminated the option for mediation in accident benefit disputes – leaving no option to launch a lawsuit against the insurance company. Some say that it comes down to ethical and informed decision-making. In the past, when major changes to automobile insurance legislation was being proposed – the Ontario Government would seek input from a wide variety of industry professionals, stakeholders and consumer advocates. But many recent policy changes have come as a complete blindside to those representing the rights of car accident injury victims. Ontario law requires that all motorists have auto insurance. Mandatory auto insurance is meant to protect Ontario drivers and passengers in the event of an accident; But when legislation significantly reduces benefits and rights to compensation to a point of alarming proportion – many people are left wondering; Who are these laws meant to protect? Legislators say that many of these new auto insurance laws are directed at reducing automobile insurance premiums and thus benefit the consumer. But if you pay slightly less and get much, much less – does that really mean you have saved? Are the savings in premiums in balance with the benefits that are being removed? When many of these policies are examined, many industry professionals and lawmakers feel that the practical outcomes of recent legislation have not benefited Ontario drivers – but instead have only further boosted record profits being made by insurance companies. In January of 2016, the Financial Services Commission of Ontario (FSCO -the government body that regulates the insurance sector) issued the a report that showed approved rates only decreased on average by 0.15 per cent in the fourth quarter of 2015. At the Kahler Personal Injury Law firm we advocate for legislation that supports our legal profession and its true purpose of protecting those who have been injured. We support legislation that is in the best interest of injured plaintiffs – not those of the lawyers representing them or the insurance companies looking to reduce injury compensation . We want legislators to pass auto insurance laws that put drivers and their passengers first. When they don’t; those injured in accidents are dealt a second blow. There is a lot of discussion in legal circles surrounding “Revenue for referral-based advertising”. If former MPP Tim Hudak has his way, his Bill 12 proposal will have a strong affect on the way the firms in question, do business. If successful, Hudak’s bill would ban referral fees in auto insurance cases except on successful completion of claims. (b) Pay a referral fee to another licensee in exchange for having the other licensee directly or indirectly encourage or otherwise arrange for a client to retain the licensee paying the fee for the purpose of receiving legal services with respect to a personal injury claim. If you live in Toronto, or travel major highways and streets in southern Ontario leading to cottage country, they are hard to miss. In high traffic, lower speed areas you will see the country side dotted with giant billboards promising legal help, along with large and easy to read contact information. You can see them on buses, sporting venues and benches too. Adverts for personal injury lawyers have long been a part of the landscape in the U.S. They run alongside the highways and clamor for attention, side by side with other billboards. It turns out that some of these Ontario firms that conduct extensive advertising campaigns are in the business of finding business, then passing it on. The advertising law firm will pick the cases they prefer. Those remaining files are then offered up to other legal firms, not necessarily to the most qualified, but to the one who pays the most for the referral. It is a sensitive subject to many reputable lawyers. Any deviation or failure to adhere to the standards of excellence Canadians have come to count on reflects on the legal profession as a whole. Consequences can be disastrous in the short term for the individual personal injury client and in the long term for our long held traditions of respect and trust for someone whose job is to uphold the law. 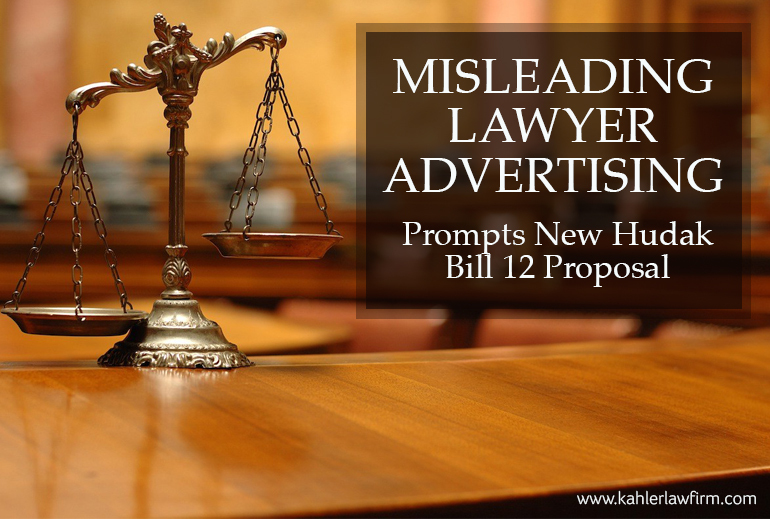 Please note: The Kahler Personal Injury law firm does not conduct any revenue for referral-based advertising and does not support lawyers advertising when they have no intention of taking on the case. If your disability claim has been denied, then the next step is to seek out the right lawyer who can guide you through the process and successfully resolve your claim. At first, choosing the right lawyer may feel like a taunting task – but when equipped with a little knowledge and the right questions to ask, the process becomes a little easier. Do you offer free consultations and free case assessments? Most reputable disability claim lawyers in the Toronto area offer free consultations and free claim assessments. This will allow you to meet with a variety of lawyers at no extra cost to you. Ask potential lawyers to review your claim. Ask them if your claim is valid and if they foresee any complications. Ask them how they plan to prove your claim and what medical assessments you can expect to attend. Does your firm specialize in disability insurance law? Or is it just a part of your general practice? The laws surrounding disability insurance claims are complex. Look for a lawyer who is up to date on the most recent changes to regulations and can give you an advantage when navigating your claim through any potential legal complications. Ask what financial resources the firm has in place that will insure that your claim is prepared properly and receives the attention and dedication it deserves. What litigation experience do you have with disability claims similar to mine? Experience matters. Ask potential lawyers about success ratios with claim similar to yours. Ask if those claims settled in or out of court. Ask how much those claims settled for and what your claim is worth. How long did those claims take to resolve? Ask the lawyer “If push comes to shove” are you willing to defend my rights in court or will I be pressured into taking a low ball offer provided by the defense. Will you be the lawyer representing my disability claim? Open, honest, compassionate communication is important. Without good communication it’s hard to trust that your claim is going in the right direction and is getting the attention it deserves. Look for a lawyer who is patient and proactive and understands the pressures your under. If you have met with a lawyer that you like and you feel comfortable with – make sure that he/she will be the lawyer actually representing your claim. Ask them how they will be available to you when questions and concerns arise. Are you keeping a pain journal documenting your car accident injuries? Will Your Pain Journal Help Your Personal Injury Case Or Hurt It? Many people, who have suffered a serious injury, keep a hand written or electronic journal to help make sense of what has happened to them. 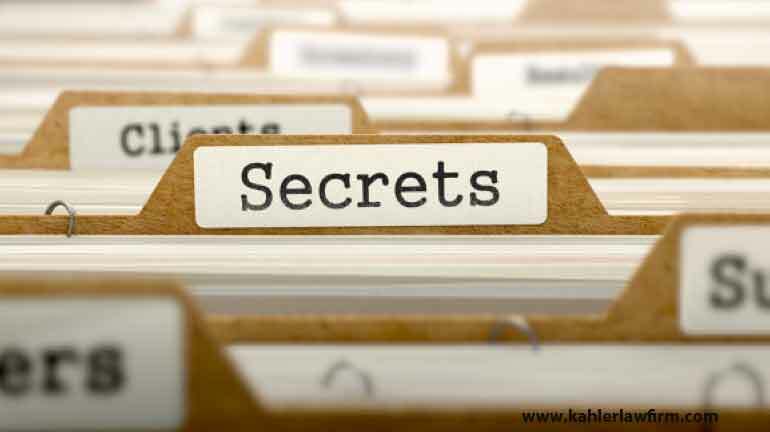 They may keep records of medical visits and therapies or document changing emotional or physical states. Their journal may contain thoughts, insights, opinions and personal anecdotes. Often recorded are details about pain and what caused the pain. 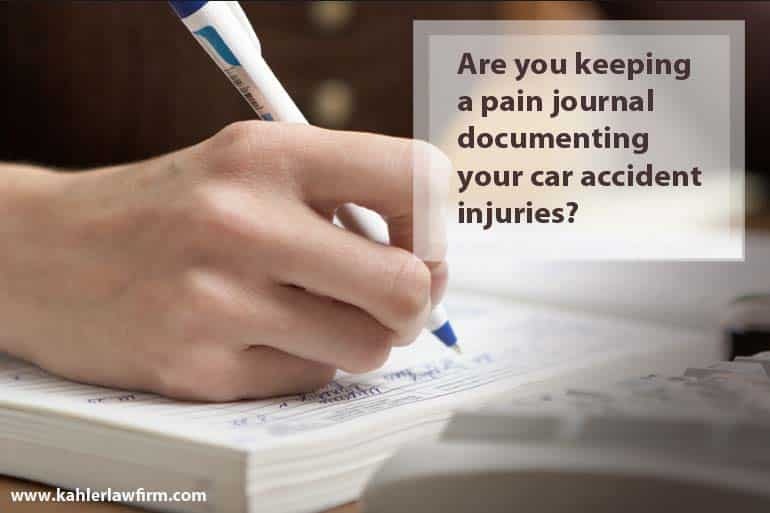 Are you keeping a pain journal to document your car accident injuries? If so, you need to understand how your journal might be used for you or against you in court. Before you start a pain journal, it is important to know that our system of law and its Rules of civil procedure may grant access by opposing parties to relevant information as it pertains to the lawsuit. Not to destroy alter or conceal relevant documents or materials if directly questioned about them under oath (such as in discovery). A pain journal can be helpful. As time passes, memories fail. As a claimant you will likely be required to explain and answer detailed questions relating to your injuries. This usually includes symptoms, triggers and timelines. A pain journal can help you remember dates and events such as doctors’ appointments, and treatments. It can document time missed from work and activities you could not take part in. During defense examinations , a pain journal can help you answer quickly when you are asked questions about the accident, your injuries and the impact of these injuries on your daily life. When detailed correctly, pain journal can be a useful document that can demonstrate the on-going and consistent difficulties and impairments you face, as a result of the accident. During the rehabilitation process, pain journals can provide a better understanding of triggers and characteristics that relate to your injuries. A pain journal may help in making a diagnosis. When multiple injuries are present – your notes can be invaluable when describing the type and location of pain. Your notes can help therapists monitor your mental, physical and emotional states. It can be used to track appointments with doctors and provide a record of the treatments they provided. Done well, your pain journal (as a legal document) can highlight and illustrate what a day in your life after injury is like. How might a pain journal be used against you? Precedence has shown that in most cases, the courts will deem pain journals as “non privileged” documents and relevant to the personal injury action. When this happens such, documents must be disclosed to the opposing council. Claimants who have a pain journal will almost certainly be asked to produce it during discovery, at DME examinations; for treating physicians, home care assessments etc. 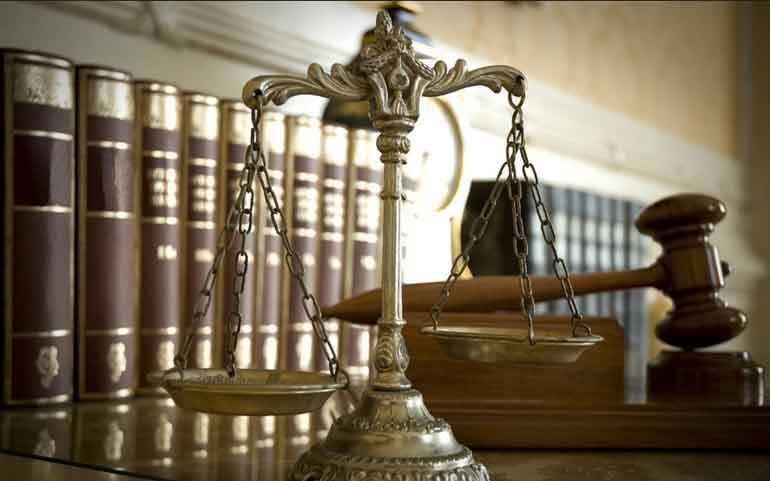 Establishing plaintiff credibility is a primary goal in any personal injury claim. When information documented in a pain journal is inconsistent or contradicts the injured person’s verbal testimony – their credibility can be diminished. Personal entries that are completely unrelated to the accident may be taken out of context and used against you by the defense. Defense lawyers may contend that entries made regularly and on a daily basis highlight the fact that you are unnecessarily preoccupied by your injuries and the personal injury claim associated with it. Any embellishment or exaggeration will be scrutinized and may be used against you by the defense. Pain journals kept on a computer or mobile phone may prompt the defense lawyers to file a motion to produce your entire system. If this occurs, opposing counsel will look through your files, seeking any accident related information, they can use against you. Entries made will be scrutinized along with the entries that were not made. Juries may translate dwindling numbers of journal details and entries, to mean that injuries have improved. In the beginning, injury victims may be diligent when documenting details of their injuries and symptomology. But unfortunately, history has shown that many people fail to keep up these good habits over time. Even when injuries are worsening they may fail to keep a written record of symptoms. One effective way of documenting and monitoring accident injury related symptoms is to visit your family doctor and other medical treatment providers on a regular basis. Describe the type of pain you are experiencing. Inform him/her of the impact your injuries are having on your day-to-day activities. Your medical records and notes kept by your doctors will become important pieces of evidence used to support your claim. As a general rule, it is important that personal injury victims seek out the advice of their lawyer before starting a pain journal or diary. If one has been started without your lawyer’s knowledge – you should bring it to his or her attention as soon as possible. If the journal is to eventually be disclosed to the defense, its better that he know about it sooner than later. It is also important to note that your personal Injury lawyer is under legal obligations as well. The law binds him/her, not to obstruct the defending parties access to relevant evidence materials or documents. This includes concealing, destroying or coaching a plaintiff to do so. It would be wise to speak with your lawyer before starting a journal. How your injuries and symptoms are documented can make your case either stronger or weaker. For most plaintiffs, a pain journal is an imperfect medium for documenting pain and emotions. Ask your lawyer about the best way to keep track of your symptoms and periods of pain and keep open lines of communication with your treating physicians. Going back to work after a car accident injury: When should you go and how will you know? Not every car accident victim sustains permanent and catastrophic injuries in an accident. Some injuries can improve quickly, while others are more serious and persist for years. During the recovery process, it’s not uncommon for victims to experience intermittent periods of both improvement and regression. Improvements may be seen when going through rehabilitation or allowing the injured part of the body to rest. Regression may be seen when injuries are not fully diagnosed or the injury is not given adequate time to heal. These are very real concerns experienced by car accident injury victims have during their recovery process. The truth is, there is no one perfect answer that would apply to all situations. Every workers role and job related demands are different. The types of injuries and symptoms each injury victim experiences can vary greatly. With some injuries it might be okay to persevere and trudge forward, while with others it’s best to let injuries rest and heal fully. In some situations, attempts in returning to work may highlight the claimants efforts to mitigate losses – while in others, it can fall under insurer scrutiny and spin doctoring. For the above reasons, it’s important to seek the guidance and advice of the doctors and therapists that are treating you, as well as from your personal injury lawyer, before returning to work. Their number one priority should be you (the injured person’s) long-term health and welfare. The suggestions below should be considered in general terms and not taken as formal legal advice. If your doctors feel that you are not ready – then don’t go back to work. If you and your treating doctors both feel that you are okay to try – then do so whole-heartedly. Make regular follow-up appointments with your doctors to monitor symptoms and or changes you are experiencing. If he/she advises you to stop working – then follow his/her advice. After trying, if you are not able to continue working, then your employer and co-workers may become valuable witnesses to your failed attempts. In some situations, claimants may feel certain they are not able to return to work– but their doctor feels that they are. If this occurs, you and your lawyer may consider the need for further medical advice or injury diagnosis. Seek out the advice of your personal injury lawyer if financial hardship is forcing you to consider going back to work before it’s been medically recommended. The decision on when to go back to work is a significant hurdle for people who have been injured in car accidents. Healing from car accident injuries is often a lengthy and uncertain process. The choices made about going back to work, or not, can have serious and lasting consequences. Keep clear lines of communication between yourself, your doctor and your lawyer. They are there to help you. Let them know when you’re unsure. Be sure to seek out their guidance on how to take that next best step. People who are disabled from working face the burden of financial uncertainty in addition to the pain of their illness or injury. If you have a long-term disability policy you can make a claim for benefits to tide you over until you are well enough to go back to work. However, claimants will be shocked to discover that many insurance companies consistently deny claims for reasons that are not valid. Disabling conditions can be caused by a number of reasons as set out in the details of your policy. This type of insurance is designed to pay benefits should the individual become disabled from doing his or her job for an extended period of time. Depending on the type of policy you have, certain disabling conditions may be eligible for benefits while others are excluded. 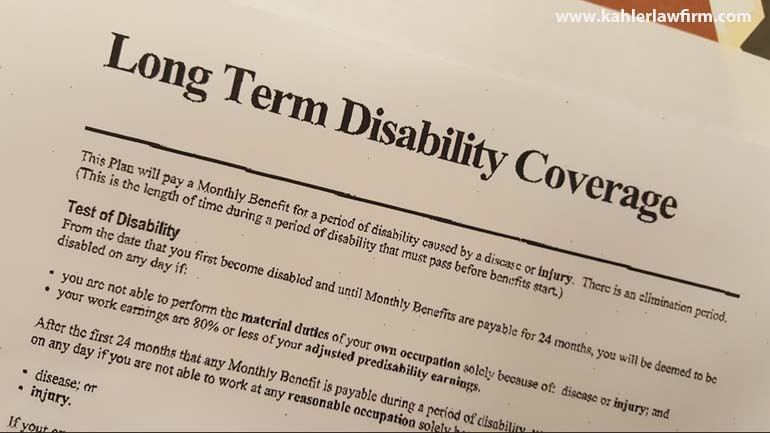 Who is eligible for long-term disability benefits? Only people who have purchased their own long–term insurance policies or those covered under an employee benefits plan are eligible to receive these benefits. When your short-term disability payment period is over, you can claim long-term disability benefits. Benefit payments are usually a percentage of your regular salary and will be payable for a specific term, or until, you are well enough to go back to work. The percentage and term of your benefits will be explained in your particular policy. Unfortunately just because you or your employer has been paying disability insurance premiums, things do not always run smoothly when you go to collect. Even if you meet all the criteria set out in the policy fine print, there are no guarantees that your claim will be granted. Many applicants fail to receive benefit cheques, in a timely way, or at all. It is a common practice among insurance companies to deny or delay paying out the benefits their clients have paid for and are counting on. What reasons do insurance companies give, to deny benefits? Many long tern disability claimants are made to feel personally responsible for being denied. They end up feeling that they are somehow to blame for their disability. In a state of exhaustion and overwhelm it is no surprise than many claimants give up. Sometimes claimants appeal over and over, yet are continuously turned down. If your long-term disability claim has been denied, do not panic. For many insurance companies the first response is to deny or delay claims even when they are legitimately eligible for benefits. This style of doing business has become common process with insurance companies. They are practiced and good at it. They hire professional lawyers and medical staff to work on their behalf, then use these their reports against you. Do not be surprised if they ignore your calls or stall on getting back to you. The long delay time gives them more time to pad your file, (with their biased information) or to look for reasons why they do not have to pay benefits. They often take this opportunity to do surveillance, or watch you on Facebook or other social media. If they can put you off long enough, the time limit for launching a lawsuit will have ended. And you will have no legal recourse to fight for your rights. You need to make it clear you will not give up. You must get help from someone who understands the myriad ways insurance companies wrongfully avoid payouts. Disability Insurance lawyers understand insurance laws and ably decipher the legal jargon on policies. They can fight legal points toe to toe with insurance companies. They are familiar with the tactics and excuses insurance companies use, and can beat them at their own game. You need someone on your side, who knows the ropes. This is not a fight that yo are likely to win going it alone. There are two kinds of mistakes. First is the mistake of not doing what you knew you should have. The second is the mistake you had no idea you were making. The best way to deal with mistakes is to avoid making them in the first place. 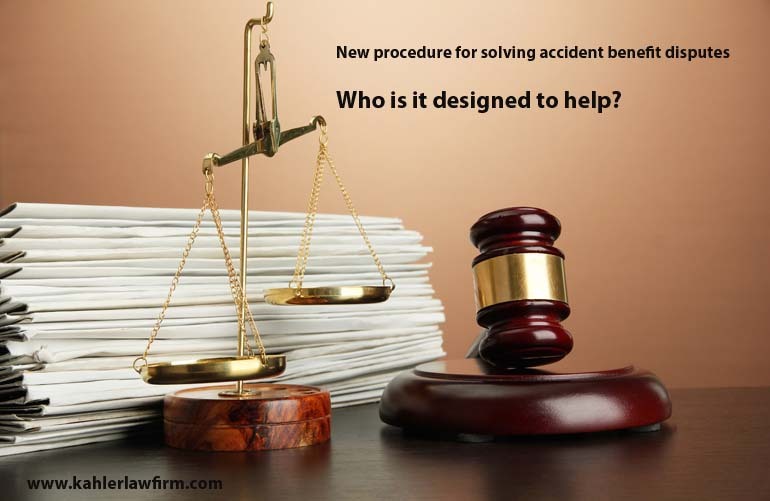 Below are a few tips that will help your car accident injury claim succeed. You tell yourself you’ll be fine! It’s common for those injured in a car accident to refuse medical attention. This can happen even when the signs of serious injury are immediately apparent. For many, the thought of serious injury is overwhelming and gives way to periods of denial. Denial is a natural coping mechanism that in some situations can be a good thing: giving an individual time to adjust to a painful or stressful situation. With regards to car accidents however, denial can interfere with treatment, rehabilitation and your claim. It is important that you follow your doctor’s medical recommendations and take all reasonable steps to prevent any worsening of injuries. Remember to see your family doctor regularly and keep him updated with symptoms and new developments regarding your physical mental and emotional well-being. Failure to follow the above steps can affect the handling of your personal injury claim. Delayed treatment can make injuries worse and rehabilitation more difficult. Insurance companies often contend that deteriorating injuries are due to plaintiff inaction; therefore defending their right, to reduce financial obligations. Be sure to report, or have your lawyer report any car accidents to your insurance company. This must be done within seven days of the incident. Some policies may provide more time, but time limits do apply. In some cases, failure to do this could mean the insurance company will deny your claim. With car accident injury lawsuits in Ontario, a statement of claim must be filed within two years of the injury. This document is completed by your lawyer and will name the person or entity, the lawsuit is against and the amount of damages/compensation sought. If those named wish to defend against your claim, a statement of defense must be served within 20 days of being served your statement of claim. In a personal injury lawsuit, there are always opposing arguments and theories as to how the accident happened and who is to blame. Photos documenting the road conditions, skid marks, damage and injuries are hard to dispute. They can provide proof and reveal contributing acts of negligence that can support your claim. Its important to take photos before evidence is cleaned up or disappears. If your injuries prevent you from taking photos of the scene yourself – have someone do it for you. Be careful what you say when discussing the accident with anyone other than your personal injury lawyer. Do not discuss details of the accident, your injuries or your employment. Say that you are unable to talk with them at this time. Advise the adjuster that all information they require will be provided through your lawyer, and that they should not contact you directly by phone. If you do not have a lawyer yet, you can always send the adjuster his/her contact information at a later date. It is best to stay clear of social media. If you must engage, be extremely mindful of what you say or post online. Social media evidence is often admissible in court and is a potent weapon used by defense lawyers when disputing the merits of a plaintiff’s personal injury claim. Be strongly advised that information found on social sharing sites such as Facebook, LinkedIn, Google, Twitter is often taken out of context and used against you in court. Never post or discuss anything about your car accident online. Never post pictures of yourself on the web and never speak of your daily activities, your injuries, your employment, personal life or vacations that you have been on. Always be truthful and consistent. It’s your lawyer’s job to establish your credibility and it’s the defense lawyer’s job to make you look like a liar. It’s important to be consistent with what you know or don’t know about the car accident. Don’t open yourself up to credibility issues. Never exaggerate symptoms or physical limitations to anyone, including: doctors, your lawyers, insurers or examiners. The insurance defense lawyers will scrutinize even the smallest testimonial discrepancy. What amount of injury compensation is fair? How do you know if the amount offered is enough to cover your future losses? Don’t rely on the defending insurance company to answer those questions for you. In efforts to limit their financial exposure insurance adjusters may offer to settle your accident injury claim before discovery or negotiations have been initiated. Injuries can take days, weeks, months and even years to be fully realized and documented. If your injuries are worsening and have not plateaued, or been resolved, then it is not in your best interest to settle quickly. Only with a clear diagnosis or prognosis of your injuries will the amount of your future losses be known. It’s important to always seek experienced legal advice before signing anything from an insurance company. The insurance defense team has a legal right to request your attendance at medical examinations conducted by practitioners of their choosing. You will be seeing a real medical practitioner, however, its important for you to realize that his job is not to treat you medically, but instead, dispute and disprove your injuries. Insist that you are truthful, consistent and give short answers without elaborating. Insurance companies are extremely difficult to deal with. Their process of “Delay, deny, dispute” is well documented. Insurance companies are focused on making profits, not paying claimants fairly. They know very well that seriously injured victims are physically, emotionally and financially vulnerable after an accident. Stay the course and don’t let tactics used by the insurance company force you to surrender your rights to fair compensation. A good lawyer can be there to support you every step of the way. Go to him with your concerns and seek his advice. Long Term disability insurance is intended to provide income protection to individuals or employees that become ill and unable perform all or any of the duties of his or her regular occupation. When litigating disability insurance claims, your lawyer must clearly determine the amount of disability benefits that you the claimant, are entitled to. This amount depends on the provisions set out in your insurance policy. Some claimants may be entitled to full coverage, while others only qualify for “partial” or “residual” benefits. There are many different types of policies and coverage can vary. Your policy may provide for partial or residual benefits. Your lawyer can help you with this determination. Both short term and long term disability plans have qualifying time periods called elimination periods in which the claimant must be unable to work before they are eligible for benefit coverage. Waiting periods for short term disability coverage are commonly significantly shorter than they are for long term disability plans. Elimination periods for long term disability can range from a few months up to a year. In general, lower the policy cost, longer the elimination period. Partial Benefits and Residual Benefits. How Are These Definitions of Disability Similar? How Are They Different? The underwriting of each disability policy is different. In general terms, an insured who qualifies for total disability benefit and is able to work in a reduced capacity may be eligible to partial benefit coverage. The claimant’s pre-disability earnings and the amount of income lost will determine the amount of benefits. In most policies, loss of income must also meet a policy defined percentage before the employee is eligible for benefits. In many insurance policies partial benefits may be payable to those disability claimants who are still able to perform some of there job and work related duties. “Partial” definition of disability. In some policies – the claimant has to be totally disabled during the elimination period. The ways in which benefits are calculated for partial disability is different than it is for residual disability. Not all illnesses and disabilities are permanent. In some cases, claimants recover gradually over time. “Residual” definition of disability. In some policies – the claimant may not have to be totally disabled during the elimination period. In some circumstances, claimants may fall within the definition of both “total” and “residual” disability. When this happens, insurers are likely to claiming you qualify for residual benefits. It’s important that your lawyer defend your rights to a “totally disabled” benefit. If the claimant has more than the allotted non-disabled days set out in their policy – they may need to start a new elimination period. Benefit amounts are calculated according to a determined percentage. Generally, a total disability policy coupled with residual disability coverage provides the employee with the greatest income protection. Do You Have Questions About Your Disability Coverage? Talk To A Personal Injury Lawyer As Soon As Possible. Advise you and insure that all actions take place within the required statutes of limitation. Remember, experienced legal advice can be the difference between a successful and unsuccessful claim. Ontario’s new procedure for solving accident benefits disputes: Who really stands to benefit? Changes to the accident benefits program promised to make dispute resolution between insurance companies and seriously injured car accident victims, more time efficient, cost effective and straightforward. But will they? It takes time to become familiar with new procedures, however many Toronto personal injury lawyers are concerned that these changes will work completely contrary to the intended outcome. The big question now is, will this new legislation actually cause a longer wait, more expense and confusion to innocent people who completely rely on the insurance benefits, that insurance companies are withholding from them. Up to April 1st 2016, the Financial Services Commission of Ontario, more commonly known as FSCO, handled disputes between car accident victims and insurance companies. Under this system, the parties involved would make an application to FSCO, for help in reaching settlement through mediation. An unbiased mediator would preside over an informal presentation of each side’s argument. The mediator’s job was to help the parties find a suitable remedy to their differences. The mediation was free, other than a nominal application fee. It seemed to work reasonably well and many disagreements settled during this stage, saving both parties the stress, expense and frustration of a lengthy arbitration or court battle. If the disagreement was not resolved in mediation, the accident victim has the choice of whether to sue in the Superior Court or apply for arbitration through FSCO. Each option had some benefits to it – arbitration’s were a more stream lined and efficient process than a lawsuit, but the Superior Court judges had more ability to penalize the insurance companies for bad faith. For example, if an insurance company does not treat an accident victim fairly, they can ask an arbitrator for a special award which is a maximum of fifty percent of the denied benefits for unfairly withholding benefits or in more extreme cases of bad faith, they can ask a judge for a punitive damage award worth significantly more. Since April 1st 2015 there is a new procedure for solving disputes between insurance companies and injured car accident victims. FSCO is no longer involved and the accident victim no longer has the option to go to the Superior Court. The ‘Automobile Accidents Benefits Service,” commonly referred to as AABS offers support to car accident victims and insurance companies to settle their dispute when a accident claim has been denied or the parties disagree on the appropriate benefit amount. This could affect anyone who has been injured in a car accident, including the driver and vehicle occupants, as well as anyone affected by the injuries or death of loved ones. Before delivering the “Application” package, the claimant must first fill out the “Application by an Injured Person for Auto Insurance Dispute Resolution Under the Insurance Act” form and “serve it” to the insurance company they have the dispute with. The Application package must be submitted with a summary of the accident victim’s position. Given that the entire hearing may be done in writing and not in person or even in on the phone, the summary is quite an extensive and lengthy process. The application package must also include all documents that the accident victim wishes to rely upon. Whereas the accident victim had time to obtain expert reports commenting on the issues in dispute after the application, but before the arbitration under FSCO, now they must have them ready to go and include them with the application. The result is that instead of applying for mediation right after a denial to ensure a speedy resolution and allow the accident victim to get the treatment and benefits awarded right away, the accident victim has to wait until they have all of their reports before even starting the process. This can delay treatment or benefits significantly and the accident victim’s injuries may go from acute and treatable to chronic and treatment resistant while they wait. Payment of $100 to the appropriate address listed at http://www.slasto.gov.on.ca/en/AABS/Pages/Contact-Us.aspx Persons who wish to hand deliver their application may do so at 20 Dundas Street ,West, in Toronto. What do the acronyms mean? What are the differences between then and now? Before April 1st 2016 the application went to FSCO. Now the application goes to AABS/LAT/SLASTO as a matter of course. Before, the most recent legislation, accident benefits disputes went to mediation, then arbitration and if necessary to court. The parties could and often did settle early on in the process. Now, there is no option for mediation and no ability to opt to launch a lawsuit against the insurance company. No matter how egregious the insurance company’s conduct is towards the accident victim and how deserving they are of a punitive award for this bad faith, the accident victim cannot choose to go to the Superior Court. To make it worse, AABS/LAT/SLASTO cannot even award a special award. In other words, no matter how badly the insurance company acts, there are no financial penalties that the accident victim can seek. The process has always been complicated. It was complicated before. The new method hasn’t been in effect long enough to be sure, but most people find the new acronyms and form names unnecessarily puzzling and the process, overall confusing. Where the old system had a huge amount of case law to resource, the new system has no history to fall back on and are refusing to follow FSCO cases. They will have to figure it out along the way. “It is a threat to the rights of accident victims. It completely changes the mechanism for dispute resolution. It is meant to be a quicker process, but it is more complex and there are a number of unanswered questions as to how this system will function. Much of it is done in writing – so in many cases, the victim is never assessed or heard by the arbitrator. The victim never gets their day in court.” Kahler Personal Injury lawyer, Sherilyn Pickering’s comments above, seem to sum it up. Hit By An Under-Insured Driver? If you are seriously and permanently injured in a car accident caused by someone one else’s negligent behavior, you have a right to claim for damages (pain and suffering, out-of-pocket expenses, care costs beyond what your own insurance company pays, loss of income beyond what your insurance company pays, etc). The insurance company, acting on the at-fault driver’s behalf, pays the costs of these damages. But what if the driver at fault, does not have enough insurance to cover the necessary costs of care for your injuries? Or has no insurance? What if the at fault driver hits and runs? If an under-insured or uninsured driver seriously injured you, a member of your family, other dependents, or occupants of your vehicle, the amount of insurance and the insurance endorsements that you carry, has a sobering impact on your rights. There Are Mandatory Limits For Automobile Insurance in Ontario. Each driver has a legal obligation to carry the compulsory two hundred thousand dollars in third party liability. There are options to choose higher amounts of five hundred thousand dollars, one million dollars, or two million dollars worth of third party liability coverage. Some drivers do not follow the law. Just like how some drivers run a red light or drink and drive; some people drive without insurance or even hit and run leaving you with no knowledge of their identity or insurance status. Every insurance in Ontario policy has automatic coverage for two hundred thousand dollars in coverage to protect the occupants of the vehicle from an uninsured or unidentified driver. Each driver also has the right to purchase a family protection endorsement, which provides coverage for under-insured drivers, uninsured drivers, and unidentified vehicles. The family protection endorsement covers the owner of the vehicle, their spouse, some family members, and other dependents. What Happens If an Under-Insured Driver Hits You? If you are seriously injured in a motor vehicle collision, the at-fault party has two hundred thousand dollars in third part liability limits, and you do not have family protection coverage, there is a cap of two hundred thousand dollars for your damage, paid by the at-fault driver’s insurance. If you are seriously injured in a motor vehicle collision, the at-fault party has one million dollars in third party liability limits, and you have one million dollars in family protection coverage, there is a cap of one million dollars for your damages, paid by the driver at fault’s insurance. What if he is covered for two hundred thousand dollars and you are covered for two million dollars? The first two hundred thousand dollars of coverage would be paid through his insurance company and you could look to your own insurance for the shortfall to a combined maximum of two million dollars (one million, eight hundred thousand dollars). The policies do not stack to create two million, two hundred thousand dollars of coverage. What if he has no insurance? Or he hits you and runs? Where would the coverage come from if you or someone in your car needed lifelong care due to your injuries? If the driver is uninsured or unidentified, you can look to the insurance company of the vehicle you are in to pay the first two hundred thousand dollars. The short-fall is then made up by your family protection coverage. What If There Are Multiple Injured People In The Collision? If there are multiple injured people in the collision, the limits of the at-fault driver are shared on a pro-rata basis. This means that the at-fault driver’s one million dollar policy limit is divided into several pieces. For example, if your damages are worth $500,000.00 and your passenger’s damages are worth $1,000,000.00, you get $233,333.33 and the passenger gets $666,666.67 of the million dollars. If you have a family protection endorsement of one million dollars, you cannot add the shortfall because your policy matches his policy and he is not under-insured, even though you have to share the limits. If you have two million dollars in family protection coverage, your own insurer has to make up the short fall. For serious injuries, the mandatory two hundred thousand dollar amount falls far short of the costs required. When the driver-at-fault’s insurance does not provide the necessary policy limits to pay for serious injuries, you can turn to your own insurance company to provide the balance. This means you must launch an accident injury claim against your own insurance company. You Need To Know What The Deadlines Are To Make a Claim. If you need to launch a claim against the offending driver for personal injury, the cut off date is usually two years from the date the accident injury occurred. However if you intend to launch a legal claim against your own insurance company the deadline may be much earlier. The seriousness of the injury may not be fully understood for several months. 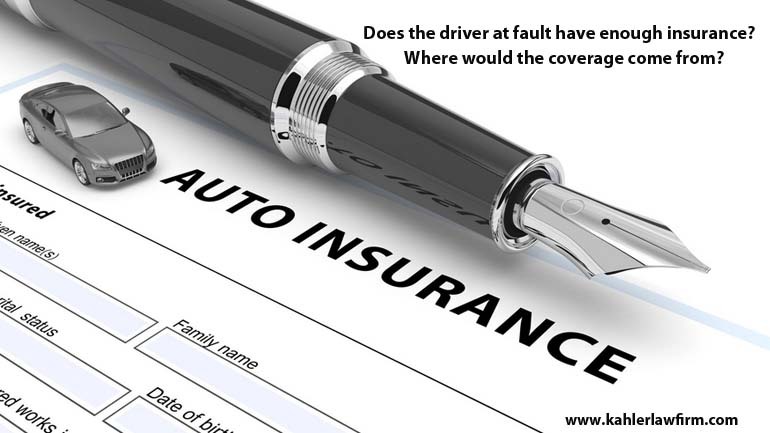 If you were not aware that the at fault driver was inadequately insured and you wait for a firm diagnosis before you set the process in motion, it can be too late to meet the deadline dates. The driver who caused the accident is responsible for paying your costs. If he does not have enough insurance to provide for your needs, then it’s not an option. You could seek the shortfall reimbursement from your own insurance company, if you have enough. If you do not have higher coverage, than the driver that hurt you then that is not an option either. If you do have higher insurance coverage that could contribute to what you need, you need to notify your insurance company, with intent to claim, before the deadline. You need to seek legal advice as soon as possible, to help find out what the policy limits of the other driver are and to put your insurance company on notice of your intent to claim against them. With the Ontario car accident benefits changes made June 1st 2016, many of us are studying our policies more carefully and may need to seek more damages in a personal injury lawsuit against the at-fault driver. Ask your insurance agent some questions if you have mandatory coverage or if you have family protection coverage. Find out how much it would cost to get the maximum family protection. It costs less than you might think. Many people are pleasantly surprised to find a small difference between the cost of mandatory insurance and the safer, more desirable choice. If you or a family member is ever seriously injured, it is complicated to make a claim. You need to get legal advice as soon as possible. But, for now, more comprehensive coverage means the best options are still open for you, down the road, if you need them. If you have been injured in a car accident; you need to contact a reputable personal injury lawyer as soon as possible to make sure the at fault driver has enough insurance coverage. Most personal injury lawyers in Toronto offer free initial consultations and “No win – No Fee” arrangements. After being injured in a car accident. I didn’t know what my legal rights were. Brennan explained everything in a way that I was able to understand.I was able to count on the Kahler Personal Injury Lawyers to take the burden of insurance pressures off of me and settle my claim. © Copyright . All rights reserved to Kahler Personal Injury Lawyers Toronto. Website design by Integra Design Studio Inc.